About half of people aged over 65 live with some degree of frailty, according to Skills for Health. Frailty is a long-term condition that results in increased vulnerability, reduced resilience and adverse health conditions. Related: How can I provide person-centred care for older people living with frailty? People living with frailty are less able to adapt to stress factors, such as acute illness or injury, changes in their environment, or personal or social circumstances. Such changes are more likely to result in poorer health outcomes and loss of independence. Individuals with frailty often describe the condition as a feeling that they are slowing down, losing strength or finding the performance of everyday tasks more difficult. The Frailty Core Capabilities Framework aims to improve identification of frailty and enhance understanding of how to support people with the condition to live well. It sets out the skills, knowledge and behaviours that healthcare staff need when providing care and support for people with frailty. 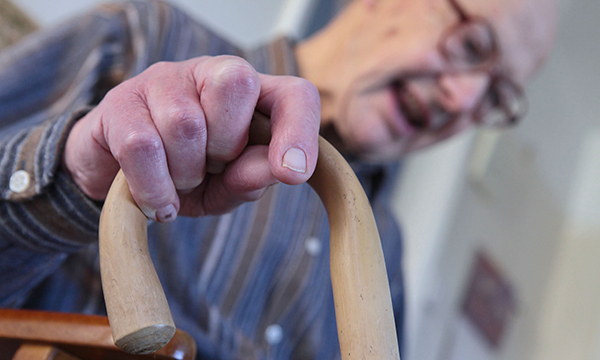 The framework, commissioned by Health Education England and NHS England and project managed by Skills for Health, states that frailty must be seen as a long-term condition and staff skills boosted to improve care. It sets out clear expectations for those working in health, social care and other services about the requirements for frailty care. According to Skills for Health, it can be used to review and develop staff, and provide a structure for career progression, continuing professional development and revalidation. The document emphasises the importance of comprehensive and holistic assessments of frailty, such as a comprehensive geriatric assessment. The document covers identifying and assessing frailty, preventing and reducing risk of frailty, communicating with patients and families, getting different services to work together, and promoting independence. Understand the concept of frailty as a long-term condition and recognise all stages of the condition, from emergence to end of life care. Know the five frailty syndromes associated with frailty and how they commonly present. These are delirium, recurrent falls, sudden deterioration in mobility, new or worsening incontinence and medication side effects. Understand the importance of identifying people with frailty in planning healthcare or support interventions. Understand that people may not like to recognise themselves as living with frailty and may be unwilling to acknowledge or disclose problems. Make the person with frailty the focal point of their own care and support, and prioritise their wishes and beliefs to support them to retain independence, choice and dignity. ‘It is important for all of us to recognise and understand frailty to support people to live well. This approach has been valuable in the management of other long-term conditions, such as chronic obstructive pulmonary disease and heart failure. ‘The framework offers a platform for those working across all areas of health, social care, community, education and voluntary care to recognise the skills and capabilities needed to support people living with frailty. ‘This will enable us to use the same language, and enable greater collaboration between services and communities, especially in the development of new workforce models of multiprofessional, community-focused teams. 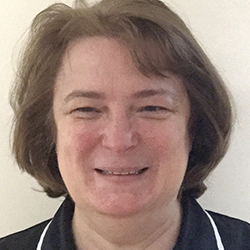 ‘Nurses working with older people need to understand the holistic nature of frailty, and be confident they can influence its progression and reduce the risk of complications.